They knew he’d be excited, but we don’t think anyone counted on a reaction like this! Johnny is a rescue pit bull who was save from a life of dog fighting. 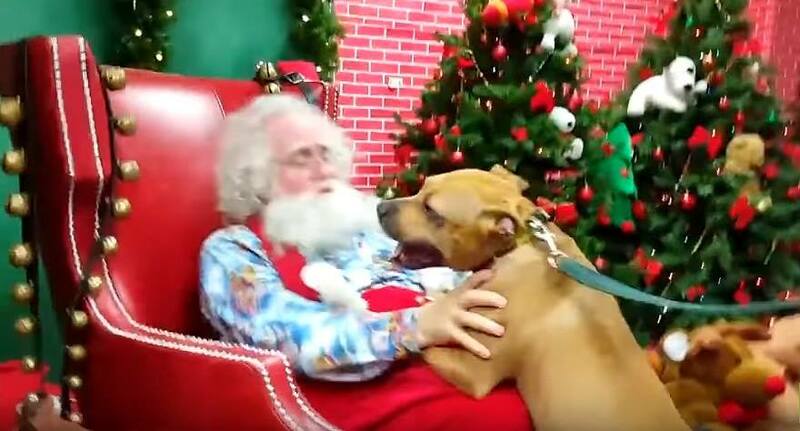 His rescue took him to go see Santa, and they knew he’d e excited, but no one was ready for a reaction like this one!